The Baron can usually be found in urban parks and gardens in the vicinity of where its caterpillar host plant, the mango (mangifera indica) is grown. 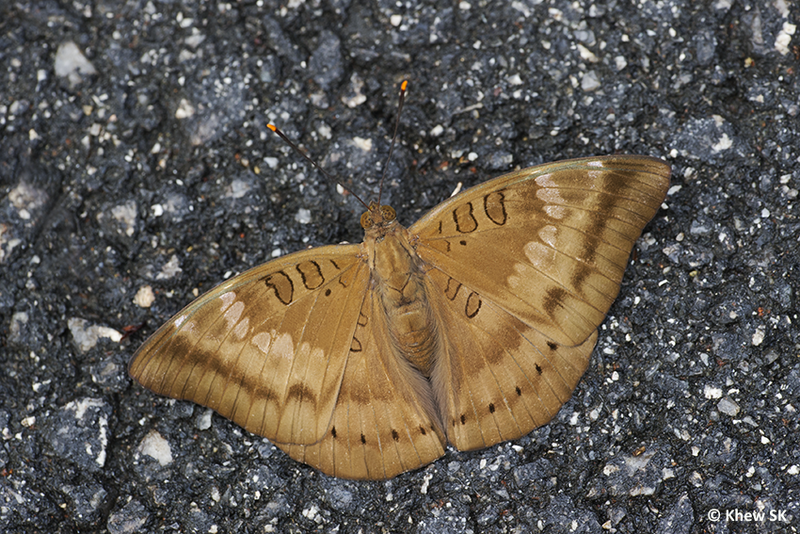 It is a powerful flyer, like most of its related species in the Euthalia genus. Characteristic features are its robust body and flap-glide flying style. 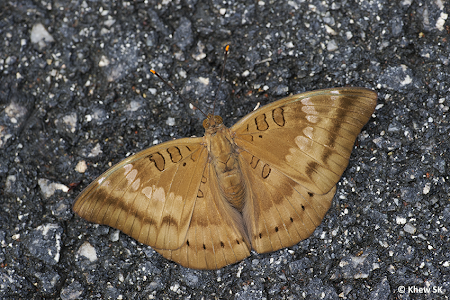 This female Baron was shot just outside my driveway, puddling on the tarmac road where there were some damp patches after I had just watered my plants during the recent dry spell. The butterfly was probably looking for moisture that it could not find in the environment after more than a month of rainless weather. The post-discal spots on the forewing of the female Baron can be quite variable, as described in this earlier blog article.